Where does the Walk/Run take place? The in-person race takes place at National Harbor, along the Potomac River in the Maryland suburbs of Washington, DC, less than 10 miles from the U.S. Capitol. What if I’m not in the DC area? There’s also a virtual option, which takes place in cities and towns across the country, anywhere supporters choose to gather and participate. Virtual participants can get together with friends and family to walk or run at a local park, track, trail, or other venue. We mail a t-shirt to all virtual event registrants, so you can even support us by putting on your t-shirt for the walk around your grocery store or other errands! You can register for the virtual event here. We also encourage groups outside of the DC are to form teams (see Team Info below). We also encourage those organizing virtual gatherings to register their events with us so we can share with others in the same area who’d like to join in. Registered virtual events are listed here. What is the course for the in-person event? Walkers and runners start out in a paved parking area, travel a short distance on packed earth/crushed shell trail, and then continue on a paved path. 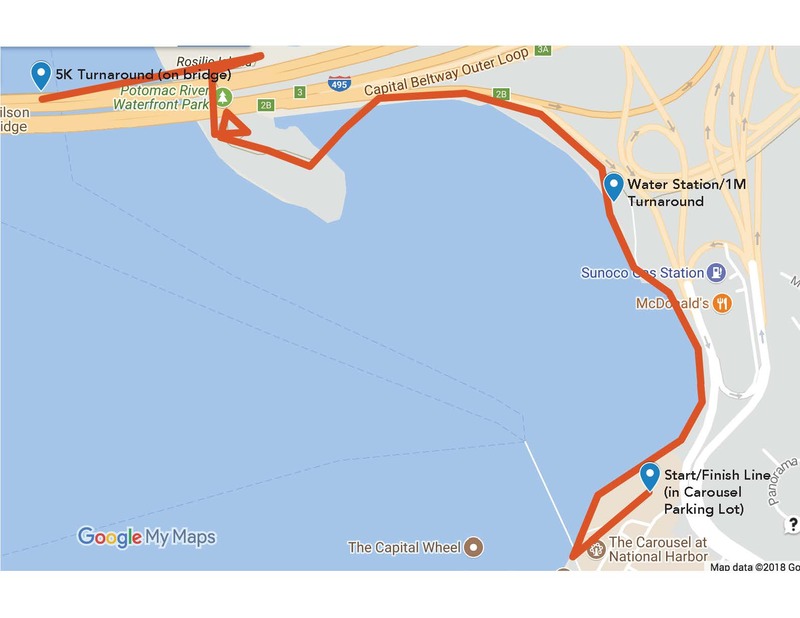 The trail we use along the Potomac River waterfront is fairly flat until close to the water stop/1M fun run turn-around point, then rises moderately as participants approach the bridge and 5K turn-around (and it’s all downhill on the way back!). Here’s a map of the course. Can I run or walk with my baby in a stroller? Babies in strollers are a-ok! Children under 5 do not need to be registered to participate, so you don’t need to let us know ahead of time if you’re bringing a stroller. We do ask that runners or walkers with strollers line up at the back of their sections to help keep everyone safe at the starting line. While dogs are welcome on the National Harbor property, we can’t allow them on the course during the race. This is for the safety of all participants and because our race insurance doesn’t cover animals. Do you postpone the race if it rains? The Public Service Charity 5K/1M Walk/Run is held rain or shine. Please dress appropriately for the weather! Is this a timed race? Everyone who registers for the 5K event (walkers and runners) will receive professional timing via a special chip on their assigned bib. Fun Run participants will still receive a bib, but without the timing chip. Can I walk or run either distance? We welcome participants of all fitness levels and abilities and want everyone to feel welcome to come out in support of Public Service. You are welcome to walk or run at both the 5K distance and the 1M distance. We generally ask walkers to line up behind runners at the starting line and may stagger the start of the Fun Run/Walk to let 5K participants get on the course first. We will have prizes for the top overall male and female finishers. We’ll also have some fun raffle prizes to give away, so be sure to hold onto your raffle ticket and be in the staging area for the pre-race instructions at 8:45am. Is this a family-friendly event? YES! We encourage families to come out and participate together, whether walking or running. Kids under 5 do not have to register (unless they want a t-shirt) and are welcome at both the 5K and 1M distances, walking, running, or in a stroller (please see the stroller Q for more info). Plus nearby Tanger Outlets, MGM National Harbor, and Old Town Alexandria. Per our registration policy, we do not issue refunds under any circumstances. Can spectators attend for free? Yes, spectators may attend and cheer you on without charge. We encourage friends and family who aren’t up for walking or running to join in by cheering on participants or volunteering (see next question for volunteer info). Do you need volunteers? How do I sign up? The Public Service Charity 5K/1M Walk/Run needs over 100 volunteers to set up, support, and clean up after the event. You can sign up to volunteer anytime before race day and we’ll send you more information in April. Yes! Teams of any size are welcome in both the in-person and virtual events. We encourage teams made up of government agency staff, corporations, associations, unions, affinity groups, families, and friends! During registration, you’ll be given the option to Create or Join a team. If you’re the first person from your team to register, select “Create” and follow the prompts to set-up your team and give it a name. You’ll then share the name with your other team members and they’ll choose “Join” when registering to add themselves to your team. You can also register and pay for multiple team members during one registration session if you’d like by choosing “Add Another Registrant” after you enter the first person’s information. Add each person’s info before proceeding to the payment screen. Register your team today! I accidentally registered without my team info. Can I still join or start a team? Can my Team wear our own special shirts or other gear? Yes. All registered participants will receive an official race t-shirt, but you are also welcome to coordinate other shirts, hats, etc. with your Team members. Past Teams have made their own special shirts, worn shirts or hats from their federal agency or company, or coordinated a shirt color that stands out and makes Team members easy to find. You can do any, all, or none of these things with your Team. Why are we asked to fundraise as part of the event? Donations collected by participants in this event are a critical part of FEEA’s funding, allowing us to help more than 500 federal families each year with disaster relief, college scholarships, and emergency hardship loans. We want to do more for federal families, but we simply don’t have the staff (just 3 of us!) to reach every potential donor. That’s where you come in — by using your personal or team fundraising page, you help raise awareness about FEEA’s mission and programs, and give us a boost when your friends and family choose to support your participation in the event by donating to your race page. You will change a life for a family in need by helping us! What’s a Team or Individual Fundraising Page? When you register for the race, our registration system automatically sets up a Fundraising page for your team (if you registered as a team) or for you as an individual (if you are not part of a team). 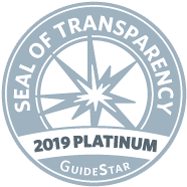 You can customize your page with a personal or team statement and then share it with friends and family via email and/or social media to ask for their support for FEEA’s programs. All donations made through personal or team fundraising pages are tax deductible to the full extent of the law. Check out our fundraising tips for help getting started. I want to fundraise, but I don’t know how. Where should I start? Good news! You’ve already started by automatically setting up your team or individual fundraising page during registration. Now check out our fundraising tips for next steps. What if people want to give me checks or cash? Check and cash donations in support of your participation are a-ok. Checks should be made out to FEEA. Please keep track of these donations by completing the check/cash donation log for all checks or cash you receive so we can send a thank you note to your donors. When you’re ready to send it in, please gather all your checks and, if you received cash contributions, add up the amount and write a check to FEEA for the total (please don’t mail us cash!). Then, mail all your checks and the completed donation log to: FEEA, 1641 Prince St., Alexandria, VA 22314. How do I get to National Harbor? Driving (or taking a taxi or ridesharing service) is the easiest way to get to National Harbor. The address for GPS is 165 Waterfront St, Oxon Hill, MD 20745. There are numerous parking garages on the property and they do charge a fee. Lyft partners with non-profits like FEEA to give back to the community when supporters download the app and take their first ride. You’ll get a discount on your first ride and FEEA will get $5 every time a new rider signs up with our code, “FEEA” and uses the Lyft app for the first time. Sign up here. The Water Taxi that runs from points in Virginia and the District is not available early enough for race day arrivals, but could be an option post-race. What time should I arrive on race day and where do I go first? Both the 5K and Fun Run start and end in the Carousel Lot, which is located off the right-hand access road as you arrive at National Harbor, just before the Capital Wheel. Final instructions and line up for the race start no later than 8:45am, so we recommend arriving by 7:45am if you still need to pick-up your race packet, and no later than 8:15am if you already have your gear. We’ll have breakfast snacks, a selfie booth, and our favorite DJ getting the crowd pumped up before the race, so come early, visit the exhibitor booths, and get psyched to walk or run! Do you have packet pick-up before race day? We do! You can pick up your race bib, t-shirt, and other goodies on Saturday, April 28, at FEEA’s Old Town offices, located at 1641 Prince St., Alexandria, VA 22314. We’re just a little over a block from the King Street Metro station and there is plenty of on-street parking (metered) as well. Pick-up time TBA closer to race day. If you can’t come to Saturday pick-up, we recommend arriving at National Harbor by 7:45am on race day to ensure enough time to check in before the race. No. Our insurance policy dictates that we cannot sanction headphone use during our event. The safety and security of all our walkers and runners is our top priority and headphones can impact a participant’s ability to hear instructions and directions given by race course personnel, and make them less aware of their surroundings.